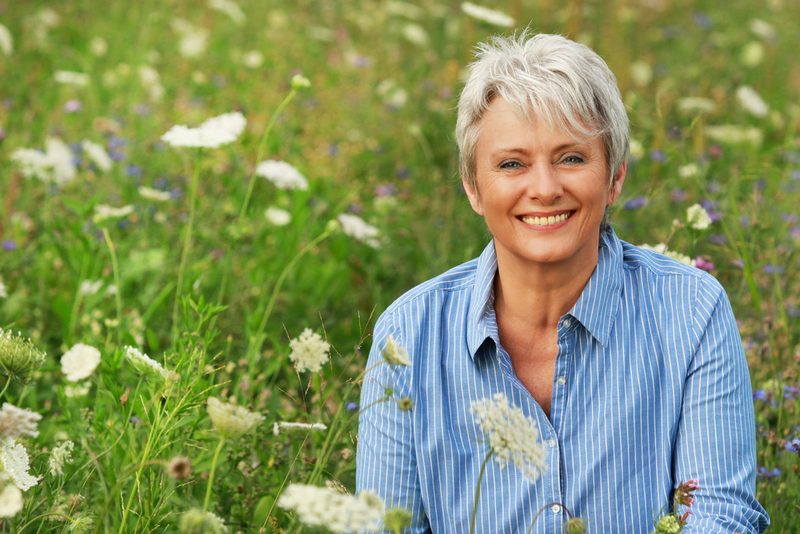 Why Should You Think Twice About Taking Hormone Replacement Therapy? Despite the potential benefits and wellness opportunities brought about by HRT, it increased women’s risks for developing cardiovascular diseases and breast cancer. These findings were largely based on a 15-year study conducted by the Women’s Health Initiative (WHI). Results were reported to the public in 2002. Since then, both women and their healthcare providers became weary of using HRT. A study conducted among a statistically representative sample of Australians found that 500,000 Australians use alternative treatments to relieve themselves from the discomforting and, often, painful symptoms of menopause. More than a decade after the WHI study was published, the findings reported are being challenged, with more experts saying that HRT is good for women in general. One particular study published in the Journal of the American Medical Association (JAMA) in 2017 is directly contesting the WHI findings. The researchers concluded that those who took HRT more than 18 years ago are in no way more at risk of dying from cardiovascular diseases, breast cancer, and other causes of mortality than those who chose not to get HRT. Do not allow stress to dictate your day, your happiness, the opportunities that you should be harnessing, and the quality of your relationships. Better manage stress by being choosy with the activities that you do, by minimizing uncertainties, and even by soliciting the support and understanding of your family, friends, and peers as you go through the inevitable challenges posed by menopause. Less stress means that you are happier and, when you are, you are giving yourself better focus. Don’t squeeze in a workout ‘when you find the time’ because that will never happen. Make sure it is part of your regular schedule — ideally 3 to 4 times weekly — and plenty of regular walking in between. Cleaning up your home can be a form of exercise too. However, you have to combine cardio workouts to pump more blood and nutrients throughout your body, keep your brain active, and your cardiovascular system free from hardened fats. You should also fold insufficient time for stretching exercises to keep your movements flexible and your joints strong, as well as weight training so that you can minimize muscle atrophy. The kinds of food that you fuel up with have the power to influence your body’s chemical makeup and your hormones are sensitive to the slightest changes. Hormones control and regulate many of the mechanisms that give you focus, keep your vascular system functioning optimally, and that gets you into a good mood most of the time — the same areas that suffer marked changes with the onset of menopause. Different people will have varying opinions about phytoestrogen, even you may have already taken a stand on this. If you’d like to try how phytoestrogenic foods can influence your menopause symptoms, however, you can try incorporating these foods in your diet: soybeans, tofu, rice bran, wheat, lentils, and yams. Fiber from organically grown fresh fruits and veggies are the best sources. Fiber helps you better manage your weight and avoid unnecessary weight gain. Plus, it also helps relieve digestion issues tied to menopause. Include fatty fish, almonds, and avocados to your diet. These promote heart health and helps you fight anxiety and depression which women face as a result of changes in chemical composition and reactions happening in the brain. As estrogen is involved in several key processes that keep your mind and body healthy, menopause marks a time when many of these mechanisms suffer due to a significant decline in estrogen production. Menopause supplements help normalize your vitamin and mineral levels, either with or without phytoestrogens, to help you better cope with the many signs and symptoms of menopause. Among the most studied herbal-based supplements include the use of maca, black cohosh, red clover, chaste berry, and St. John’s Wort. Never supplement without consulting first with your healthcare provider, most especially when you’re on medication. Get a massage. Massaging with essential oils like grape seed oil and carrot seed oil, further improves the therapeutic effects of these influence how your hormones behave. Relaxing also frees your mind from stress and worries which promotes better focus. Sleeplessness is a common issue among women going through menopause. Find what induces you to a quality, good night’s sleep. If it’s a massage, by all means, get a massage therapist if you can afford it but, if not, ask your husband for a back rub. Take a hot bath, read a book, turn off your devices, and dim the lights. Other than asking people you love for their understanding as you go through the unpredictable consequences of menopause, you should also regularly find time to have a mid-morning tea time or, an early evening dinner with your friends. Spend time with your circle of friends. Use these times to exchange notes about menopause or, to just immerse yourself in other people’s lives and what they think of the world. No women who have gone through menopause will probably claim that it was easy. What set some apart is how they’ve handled it well and better than most others. Lisiana is a renowned independent researcher with a major interest in makeup, beauty and trendy fashion and has a philosophy of ‘Live, Love and Laugh’. Understanding Integrative Medicine and The Approach To Balancing Your Hormones. A simple blood test can change your life.